Things are looking up for the Boeing 777x, the Boeing Company’s newest aircraft offering and one of its most highly anticipated. Looking to be the largest and most efficient twin-engine jet in the world, the 777x aims to balance both efficiency, sustainability, and comfort in the confines of one revolutionary plane. And as it is slated to finish this 2019, the jet has made significant progress with its construction – namely, on its engines. 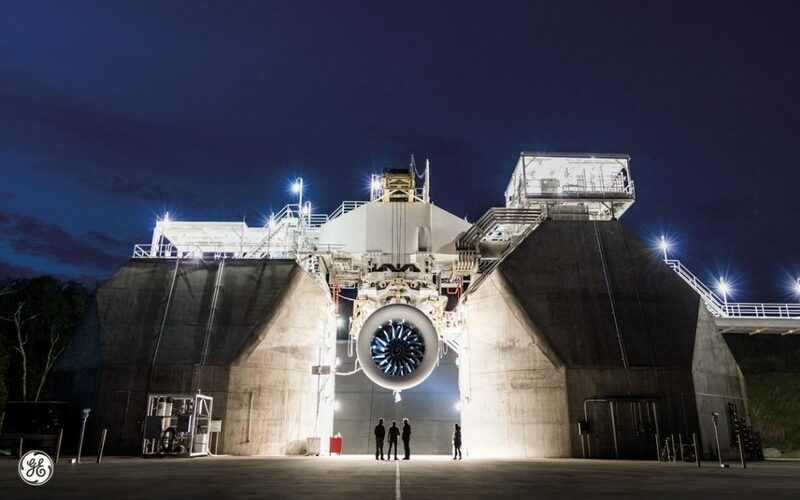 With their development awarded to GE Aviation in 2014, the GE9X turbofans – billed as the world’s biggest jet engines – have gone through a number of rigorous tests to withstand the various conditions and problems the 777x might face. This time around, they’ve been testing the engines in subzero weather, which hosts some of the more dangerous flying conditions for aircraft. But what does this mean for the 777x? We break down the importance of this development. The 777x’s cabin looks to be the widest in aviation history, being 4 inches wider than the 777 and 787 Dreamliner, its predecessors. Aside from spaciousness, one could say that the cabin is set to accommodate 350-450 seats – depending on the jet variant – along with an array of world-class amenities. Aside from this, the 777x’s 72-meter wing looks to be 11 feet longer than the Code E airport span limit, which may add to the jet’s overall weight. The engines themselves are also quite sizable as well. At 11 ft in diameter, WIRED notes that the engines are the size of a Boeing 737 fuselage. That said, to move a jet of that caliber, one would need to produce at least 115,000 pounds of thrust – or at least, in the case of the Boeing 777. However, what makes the GE9X even more remarkable is that it marks down on the thrust – producing 105,000 pounds as opposed to its predecessors. With 10,000 pounds worth of thrust out the window, how does the engine look to carry on the 777x’s size? 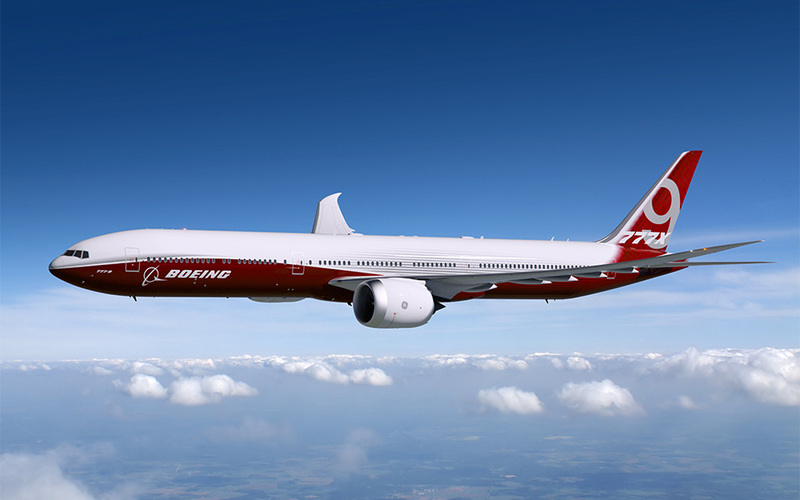 The 777x’s long wings are said to provide a better lift-to-drag ratio, while its raked wingtip design looks to ensure that it stays up in the air. The aircraft’s nacelles are also designed with the laminar flow in mind, so that the air goes across them more smoothly, thereby reducing drag. That said, the GE9X not only requires less thrust to give but also relies on less fuel to produce that amount of thrust. But aside from this, the engines also carry an array of features that take fuel efficiency and durability one step further. WIRED notes the rest of the developments here. The fan blades are made with carbon fiber, making it lighter and less susceptible to stress the engine. The engine’s air compressor packs the incoming airflow at a 27:1 compression ratio, which in turn makes it require less fuel and helps burn it at 10% more efficiency. To keep up with the intense conditions that may occur within the engine, the GE9X makes use of a ceramic-composite lining to withstand temperatures up to 2,400°F. All this considered, it is then essential that the GE9X does not succumb to any external or internal elements that may cause it to malfunction and jeopardize the 777x. And this is where the testing comes in. 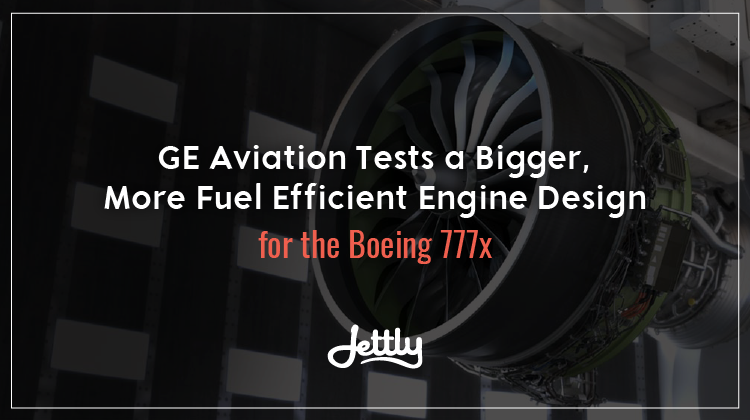 While the tech components of the engine had undergone testing since 2013, it was only during 2016 that it had begun FAA certification testing on the full GE9X engine. The current icing test plays a crucial role in particular, as the ice that may form on the fans could add weight and throw the plane off. But aside from this, the trials also include how the engines will react to sandy terrain and other obstructions, such as bird intrusions. Nonetheless, with the GE9X’s current progress, we’re looking to see it bring the 777x into the skies by 2020. 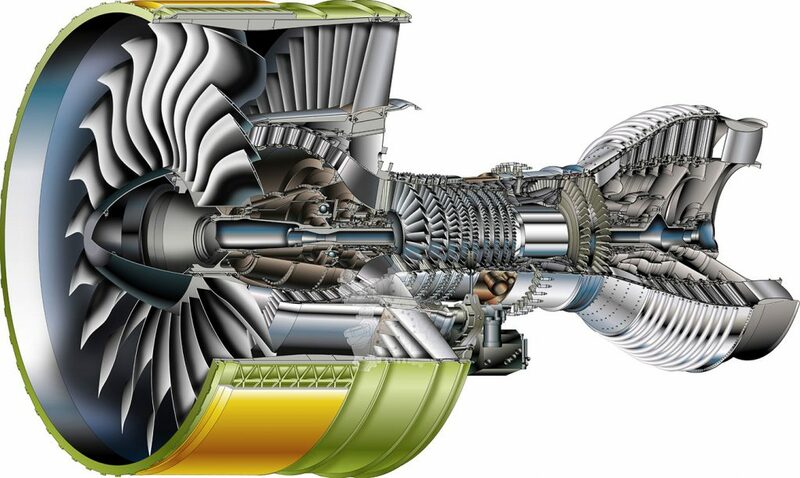 With the amount of power the GE9X holds and the promising tech built for it, we’re looking forward to seeing how the engine will play out in the future. Contact us if you’d like to talk more about the GE9X and its developments, or submit a flight request with us for your next trip.